Refugees on the assisted repatriation programme receive a cash sum on arrival in Kabul, and may apply for rent support for a limited period. They are also entitled to six months’ financial support in order to establish a business, receive training, or find a job. For families with children, the amount of financial support increases in proportion to the number of family members. 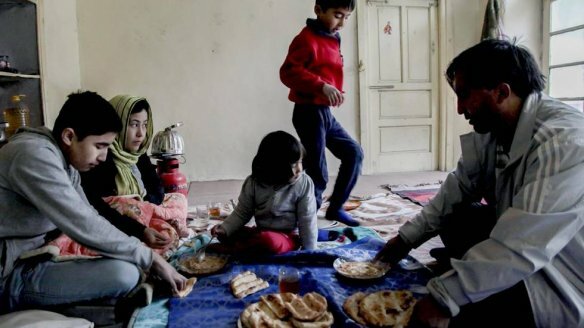 Between 2012 and June 1014, 383 Afghans took advantage of this programme, including 12 families with a total of 41 family members. Afghans who are deported forcibly are accompanied to Kabul by Norwegian police officers. Upon arrival in Kabul, each of the deportees is given NOK 3,000, the opportunity to apply for a further NOK 10,000 to assist in reintegration, 14 days’ accommodation and the fare to travel from Kabul to their home. Afghanistan is now considering refusing entry to families and children that Norway has forcibly deported back to Afghanistan, and accordingly has asked to renegotiate the tripartite agreement. The debate in Norway and hearings in the Norwegian parliament (Storting) have centred on the increase during 2014 in forcible deportations of families with children. The government’s explanation for the increase is that from the summer of 2014 “opportunities for repatriations opened up”. If one looks at the security and economic prospects in Afghanistan, however, it is difficult to see any signs of opportunities “opening up”. In fact, quite to the contrary, the situation has deteriorated. These are also important factors for Afghans who are considering whether to return and for the Afghan authorities. Afghanistan experienced three major changes during 2014 that have created enormous uncertainty about the future. The first and most significant change was the withdrawal of most international forces, leaving responsibility for security to the Afghan army and police. The level of conflict has increased throughout most of the country over the past year, as the Taliban and other groups mark their presence with suicide bombers and car bombs. In Kabul, growing numbers of attacks are aimed at civilian targets. In 2014, the UN documented the highest number of civilian casualties for many years. All repatriated Afghans are returned to Kabul, even if they came originally from other parts of the country. And many returnees believe that it is safer to remain in Kabul than to travel home. Secondly, and in parallel with the deteriorating security situation, from spring 2014 onwards the election of a new Afghan president has created political and ethnic unrest and reduced confidence in government authorities. The result has been steep increases in food and fuel prices, much reducing Afghans’ purchasing power. Criminality and kidnappings have increased in Kabul, and even if the police are not involved they do little to prevent them. The security situation has become so bad that embassies have adopted additional measures to protect their staff. Norwegian diplomats have long been required to travel in armoured cars, and travel and meetings outside the embassy are limited. Following international pressure, a coalition government formed towards the end of 2014. So far only nine ministerial appointments have been approved by the Afghan parliament, and measures that might tackle the huge challenges facing the country remain on hold. These challenges include unemployment estimated at 36%, and a demographic situation where two-thirds of the population are aged under 27 and eight out of 10 people of working age have no skills. Previously, many of these unskilled workers could obtain work through seasonal employment in the neighbouring countries of Iran and Pakistan. There are now far fewer opportunities, however, and Pakistan is also threatening to repatriate the over one million Afghans living in the country. These returnees would be in addition to the over five million Afghans who have returned since 2001, and who comprise more than 20% of Afghanistan’s population. The third major change in 2014 was the increased level of conflict and the long-drawn out political processes, which have created uncertainty as to whether international society will stand by its promises of long-term assistance. Lack of public revenues means that Afghanistan is completely dependent on international aid to pay the salaries of government workers, including the army and police, and to maintain the positive developments that the country despite all else has experienced since 2001. Accordingly many Afghans are considering whether they – or at least their children – should remain in a country that has been at war since 1979 and where the future is so uncertain. For such people, the cost of travelling to Western countries is “an investment in a more secure future”, as several people I have interviewed in Kabul have put it. Afghans who are considering whether to return home from Norway are well updated about the situation in their homeland through social media. Here positive news items disappear among the continual reports of new attacks and economic decline. Many people claim that returnees from Western countries will face threats from the Taliban and will be at greater risk of being kidnapped. Although there is little evidence that such claims are justified, many people believe them to be true and refer to examples among people who have returned from other countries. The concerns of potential returnees are magnified because the Afghan authorities and elected representatives say that they can offer little assistance. The population of Kabul has increased from 500,000 to over five million in the years since 2001. The majority of Kabul’s inhabitants have to support themselves and compete for whatever opportunities are available. If returnees have relatives or a network of friends in the city, all may be well, as Afghans have a culture of supporting their own. Without such support, however, returnees are very vulnerable. For a family with children, and for children, the transition from a secure Norwegian environment with schools and health services to what the Afghan authorities can offer, is dramatic. Schools often lack qualified teachers and teaching equipment, and the best health care is provided only by private clinics. Children’s journeys to school may often be unsafe, and children who have grown up in Norway often lack basic knowledge of the local language, and accordingly have little awareness of what is happening around them. When this situation is combined with parents’ and relatives’ uncertainty about the future, the children’s memories of their lives in Norway become very strong. Many remember very well what they have left behind, but have little ability to put their expectations for the future into words. This is part of the reason why the option of an assisted repatriation is not more popular among Afghans in Norway, even though this option would offer them a more dignified return and a better economic starting point for life in their home country. When they fear for their own and their children’s future in Afghanistan – and for the future of the country itself – it is difficult for them to see that the advantages may counterbalance the risks. Instead they prefer to wait a little longer in the hope of not getting deported and for a genuine “opening up of opportunity”. Guest blogger Arne Strand is deputy director of the Chr. Michelsen Institute (CMI) in Bergen, Norway. This is a revised version of an article published in the newspaper Bergens Tidende on 1 March: Uviss framtid i Afghanistan.